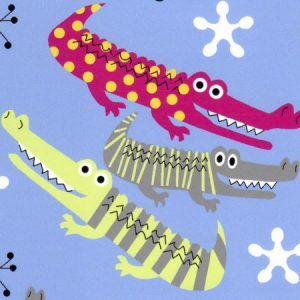 Alligator Print Cotton Fabric - 2 New Designs - Fabric Finders Inc.
Checkout these adorable new gator prints. We have two color options: Raspberry & Green and Blue & Green. Each has two really nice geometric coordinating prints. 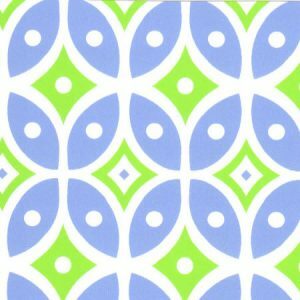 Also, click on each individual fabric below for more coordinating solids, prints, and more. 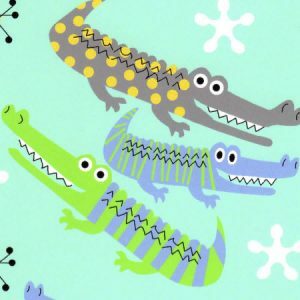 Our Alligator Print Cotton Fabric will be arriving in November, but we’re accepting pre-orders until then. 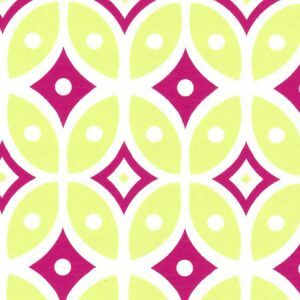 Colors and coordinates include shades of yellow, green, raspberry, pink, blues, grays and more. Great for any type of children’s apparel or adults apparel. Remember, once it’s in-stock, we can usually ship it out same-day!